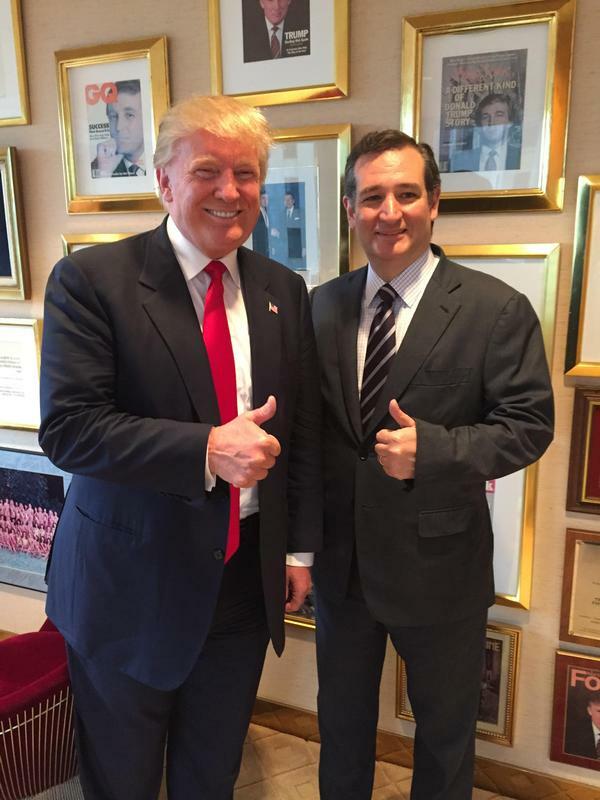 As Theresa Monroe Hamilton of the NoisyRoom wrote: Ted Cruz threw down the conservative gauntlet in the Senate this week. This was inspiring… it is something I have never seen happen before in my lifetime. He boldly and honestly called Senate Majority Leader Mitch McConnell a liar. It was long overdue and immensely satisfying. The straw that broke the elephant’s back was the vote on reauthorizing the Export-Import Bank. McConnell went one lie too far this time. Ted Cruz Calls Mitch McConnell A Liar On Senate Floor appeared first on Ben Swann’s Truth In Media. 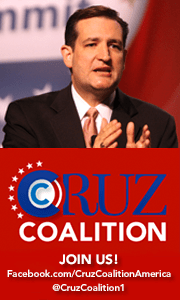 At issue are assurances Cruz claimed McConnell, (R-KY), had given that there was no deal to allow a vote to renew the federal Export-Import Bank – a little-known federal agency that has become a rallying cry for conservatives. 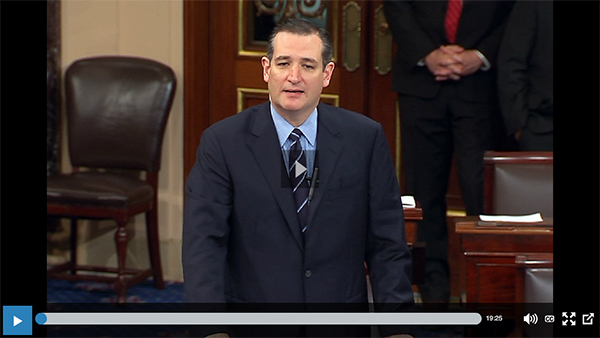 Cruz rose to deliver his remarks moments after McConnell had lined up a vote on the Export-Import Bank for coming days. This is the closest thing to a unicorn we’ve ever seen. A government agency has shut its doors, and we have a small window of time to ensure that it stays that way! In short, please call Republican Senators AND Senate Majority Leader Mitch McConnell and tell them not to allow the Export Import (Ex-Im) Bank to be reauthorized. More details about this issue and why Mitch McConnell is lying to you are listed below. It isn’t every day that you can say that a government program has been closed – especially one that amounted to nothing more than crony-corporate welfare like the Export-Import Bank. In large part due to your efforts, the House of Representatives allowed the Ex-Im Bank authorization to lapse earlier this year. Lobbyists on K Street are now working extra hard and doling out big bucks to pressure the Senate into reauthorizing it. Senate Majority Leader Mitch McConnell has continuously opposed the reauthorization of Ex-Im publicly, but today he decided he will allow the Highway Bill to come to the floor with only two amendments – an amendment to repeal Obamacare and an amendment to reauthorize Ex-Im. We know the Obamacare vote is a show vote because it would require 60 votes to pass. This is the Senate Majority Leader’s way of trying to appease conservatives, while simultaneously allowing the crony Ex-Im bank to be reauthorized. This suggests that the Senate Majority Leader has been lying when he has voiced his opposition to the reauthorization of Ex-Im. His actions today are about as much proof as you need to come to that conclusion. But, earlier today on the Senate floor Senator Ted Cruz laid out the case for why Mitch McConnell is lying to all of us. 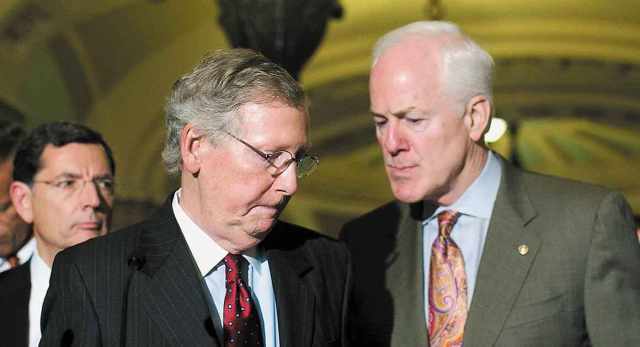 The move comes after several contentious days of fighting over the GOP leadership’s priorities. Senate Majority Leader Mitch McConnell, (R-KY), allowed a vote Sunday to reauthorize the Export-Import Bank despite his stated opposition. It passed, 67-26, but drew a sharp rebuke from conservatives. Thanks to those of you who contacted Senate Republicans and Majority Leader McConnell last week and told them NOT to allow the reauthorization of Ex-Im and instead to vote to end the Congressional Exemption from Obamacare. Unfortunately neither went out way… the way most Americans and definitely the way Conservatives wanted those votes to go! The EX-IM Bank was reautherized and of course, the end the Congressional Exemption from Obamacare was not passed. We have a very limited amount of time to encourage Senate Republicans and Majority Leader McConnell to stand up for the free markets that they all claim to support and stop this crony-corporate welfare program from being reauthorized. Please call Majority Leader McConnell and tell him to stop lying to the American people. Tell him NOT to allow the reauthorization of Ex-Im and instead to vote to end the Congressional Exemption from Obamacare. Call the other Republican Senators and tell them to take a stand for free markets and allow the crony-corporate welfare bank to end. Tell them to focus on something the American people actually care about like ending the Congressional Exemption from Obamacare. The lobbyists are spending millions to ensure this government program is resurrected. Our only line of defense is to melt the phone lines and make these Senators see that it is in their best interest NOT to reauthorize Ex-Im. PS – seriously; look at this screen capture of the Ex-Im website. This is about as close as we’ll get to ever seeing a real life unicorn. A government agency has actually shut its doors, and it’s up to us to make sure those doors never re-open. Call Now! This entry was posted in Alerts, Choices, Conservatives, Constitution, Economy and Money, Get Involved, History, Knowledge Is Power, Lies, News, News and politics, Politics, Progressivism and tagged Big Governement, Call Senators, consequences, Conservative Coalitions, Conservatives, corruption, crony-corporate welfare, cronyism, Cruz, dirty politics, Donald Trump. 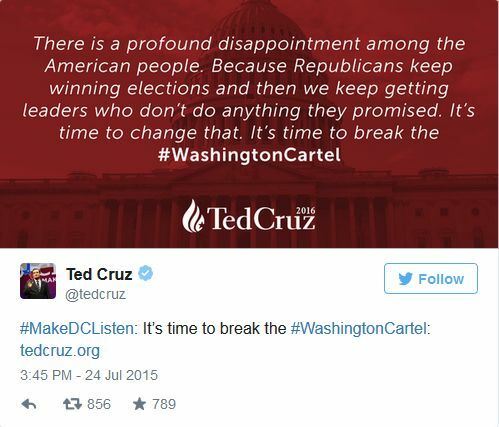 Coalitions, EX-IM, Export Import Bank, Filling the Amendment Tree, GOP, Governement Agencies, K-Street, Kate Steinle, Kate’s Law, Kentucky, liars, lobbyists, Mark Levin, Mitch McConnell, ObamaCare, Obstructionist Tactics, Reauthorization, Reauthorizing, Republican Establishment, Republican Senators, Republicans, RINO, Rule 19, sanctuary cities, Senate, Senate Majority Leader Mitch McConnell, Senator Lamar Alexander, Senator Maria Cantwell, Senator Mike Lee, Senator Orrin Hatch, Senator Rand Paul, tea party, Tea Party Patriots, Ted Cruz, Texas, TPA, trade package, Trump, Truth, Utah, Washington Cartel, Whigs. Bookmark the permalink. Pingback: Watcher of Weasels » Our Weasel Of The Week Nominees! Pingback: Our Weasel Of The Week Nominees! | Virginia Right!